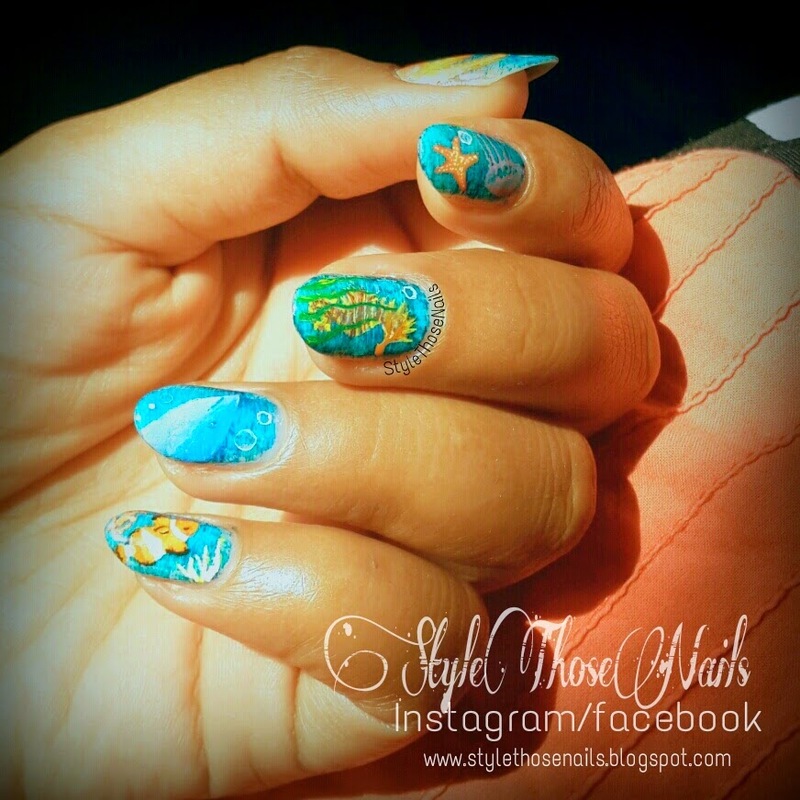 We are quickly approaching the end of #popularsummernails challange of our #STNchallenges (HERE). 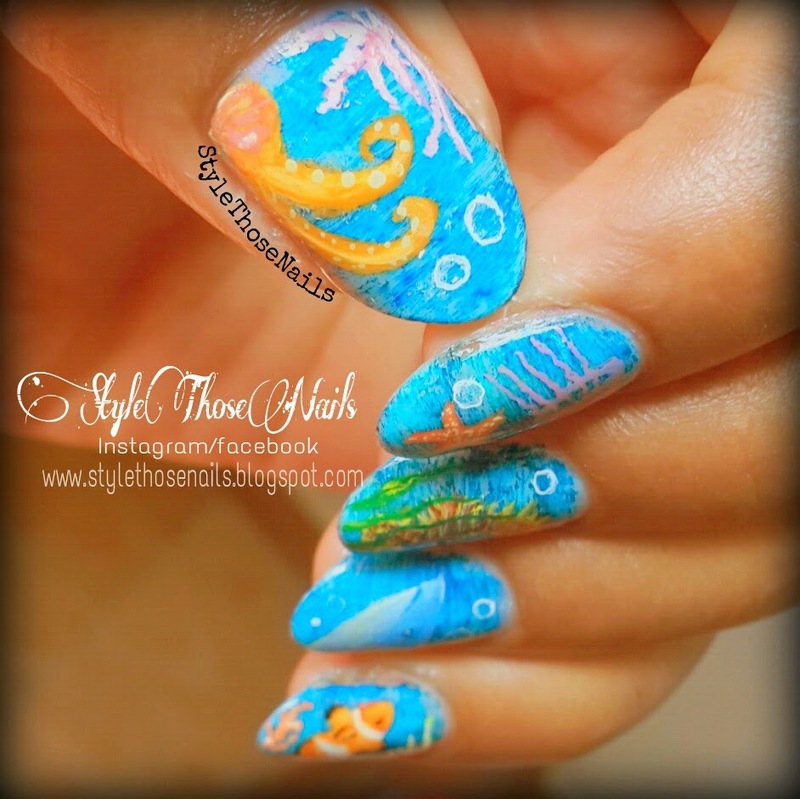 Sea creatures theme nailart is going to be interesting as I haven't come accross many doing this theme and I am really excited what others will come up with. 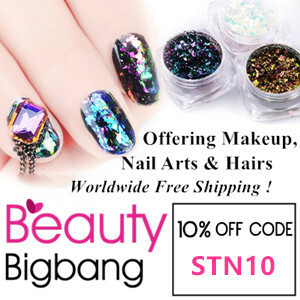 For me too it was first time doing this nailart and I finally settled with this design. 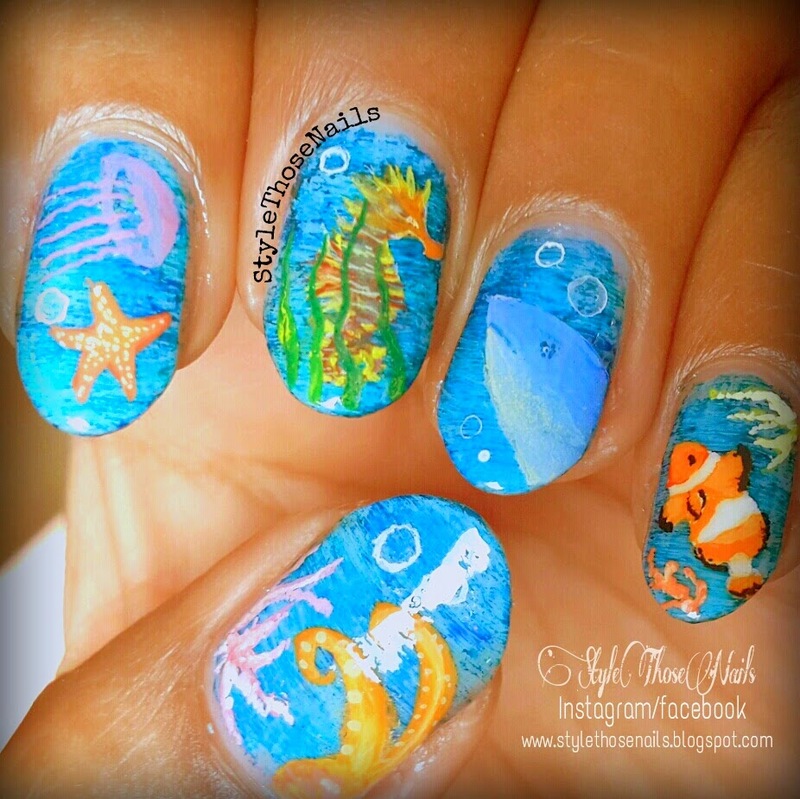 I chose to do different common sea animals; starting from index I did a jelly fish and star fish , on my middle nail I did a sea horse then on my ring finger I did a shark head and lastly on pinki a clown fish (love her color). On thumb I painted half octopus. 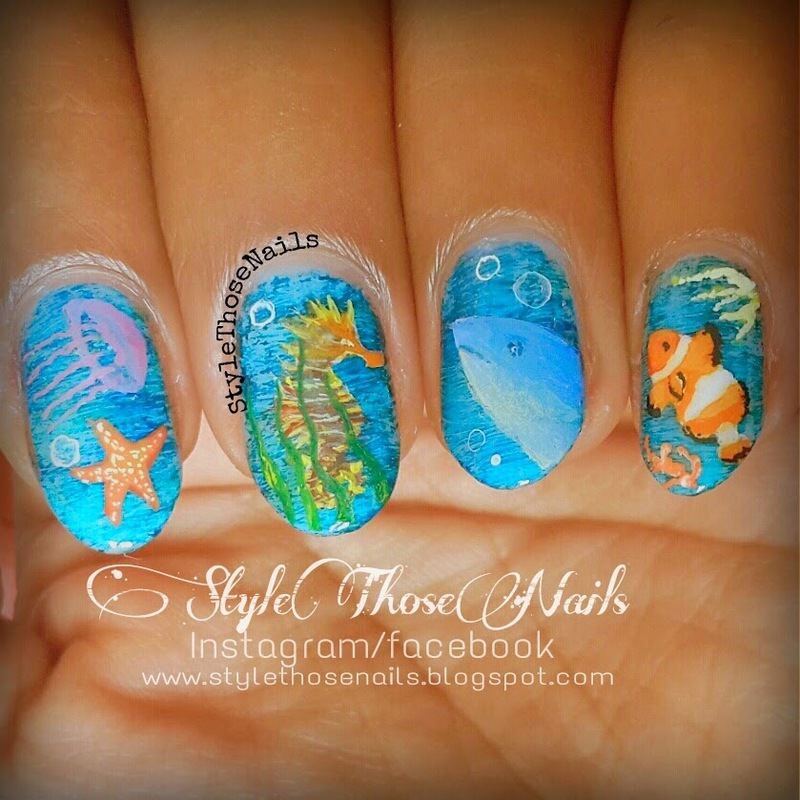 I also added little coral reefs here and there to give it a under sea look. This design is done using a thin brush and acrylic colors. To create deep sea bluish-green effect I mixed blue-green colors and did fan brush strokes horizontally then sealed it with top coat after which I added all creatures and other stuffs.